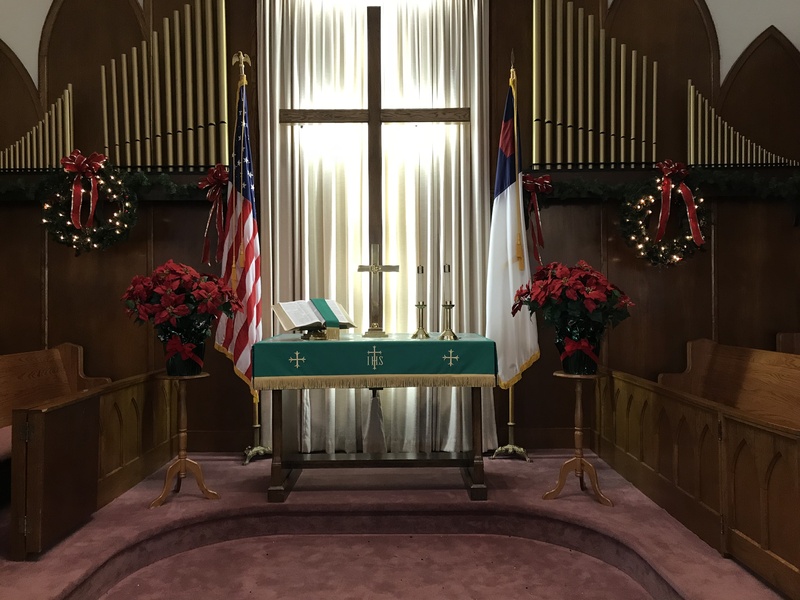 Welcome to the website of the Cuba City United Methodist Church. We are glad you found us. You are always welcome at Cuba City United Methodist Church; located on the corner of Main St. and Yuba St. in Cuba City, Wisconsin. We hope you will come and experience God. Thanks! Click the above link if you want a step by step walk through of how to donate using the yellow donate button that is located on the website here. Here is the worship schedule for Holy Week: Hope you can join us. 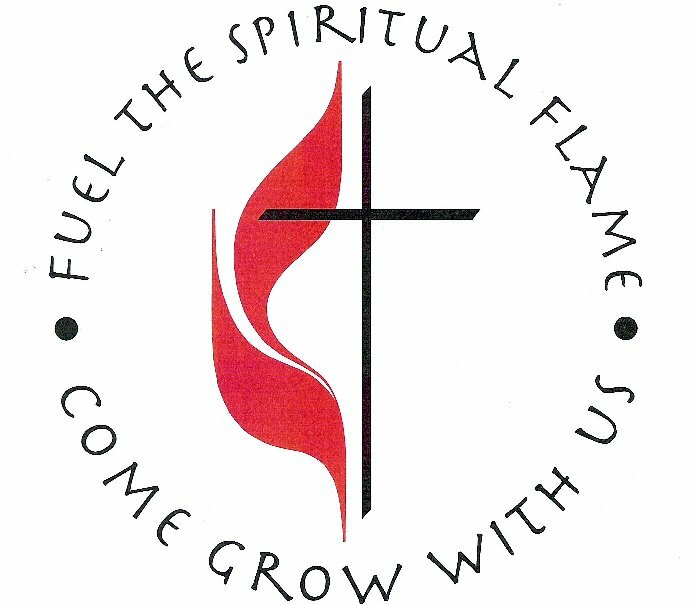 Fall/Winter/Spring Sunday Worship: September-May @ 10 AM. Hazel Green Food Pantry Hours: Tuesdays 6:00 pm - 7:00 pm and Saturdays 9:00 am - 10:30 am. The food pantry is closed all holiday weekends. We support the Hazel Green Food Pantry every month by collecting a requested item. 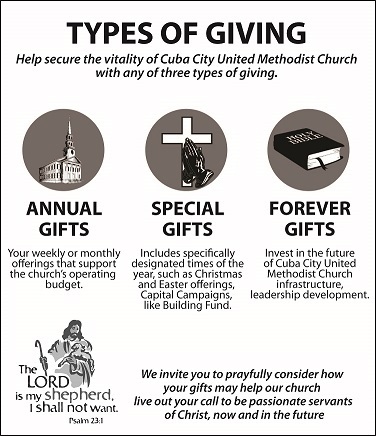 The first Sunday of every month we take a mission offering. We chose projects throughout the year that touch the lives of either the local, national or world. This external link is a free guide that helps with information on assisted living.